New Temple Chambers specialises in all aspects of commercial litigation and members of chambers have significant expertise in commercial litigation. 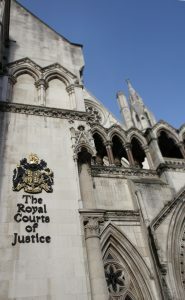 Members of Chambers provide first class legal advice, expertise and advocacy to Claimants and Defendants in all Courts in England and Wales including the County Court, High Court (Queen’s Bench Division and the Chancery Division), the Technology and Construction Court, Commercial Court, the Business and Property Courts, the Court of Appeal and the Supreme Court and before specialist tribunals. To obtain further information on how Chambers can assist you or your organisation, please contact the Head of Chambers on charles.edwards@newtemplechambers.com or ring Chambers on 0207 887 6098.